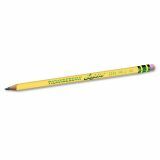 Dixon Ticonderoga Laddie Woodcase Pencil w/ Eraser, HB #2, Yellow, Dozen - Slightly oversized No. 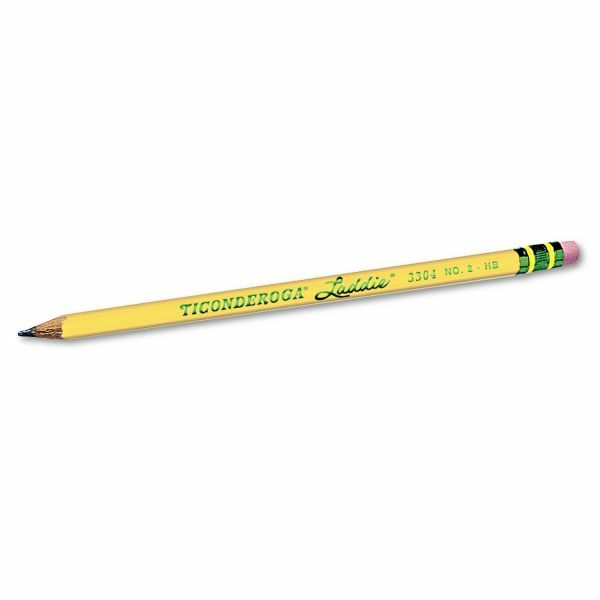 2 pencil (11/32") makes moving from printing to cursive writing a comfortable transition. The thick granite core delivers a broad, smooth stroke line to make sure user is clearly understood each and every time. Eraser is latex-free. PMA certified nontoxic.